In this sixth part of an in-depth review of 'Dr. No', we draw conclusions on the film's various aspects. Reviewers note: I don't do quantitative ratings on a 1 to 5 or 1 to 10 scale as a principle of mine, but Dr. No is definite top 10 material and has always made it high in my rankings since the first time I watched it. What more could be said about this particular Bond film that hasn't already been mentioned? No matter how much it marvels us every time we put it in, I think perhaps the biggest shock to the system it has to deliver is when you realize that a group of talented folks came together for the first time in 1962, and against all odds delivered a final product and behemoth of direction, action, set design, cinematography, music and style. This final work was so immense, so impressive that it seems impossible to imagine that the crew hadn't been working with one another for decades, their dynamic was so fluid and on the ball. 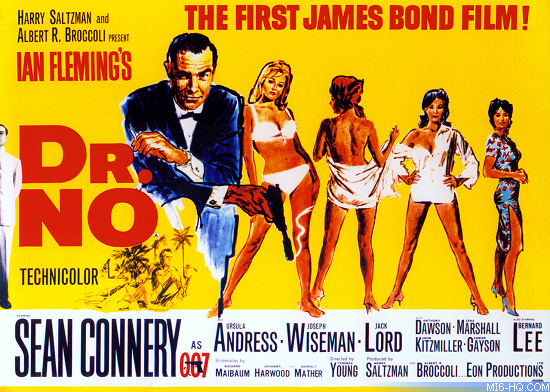 If I was shown Dr. No blindly, I'd never guess it was the first Bond film. So much of what we love the franchise for, the danger, the intrigue, the style, the eloquence, the glamour, the grace...it's all plentiful form here, right from the very beginning of Bond's historic takeover of the big screen. 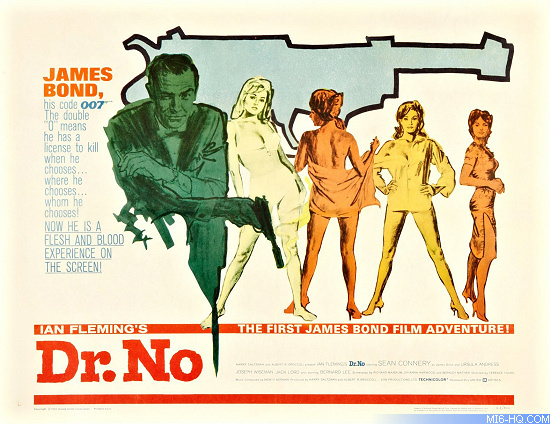 The thing of it is that Dr. No has no right to be as good as it is. We've got a Scotsman with barely a name to himself playing an Englishman in a role he has to deliver with no less than 100% of his greatest effort, a team who were forced to work with a budget that equates to scraps when you consider the budgets of the films these days, and if one element waned, if just a few areas of the film didn't meet expectation and the film failed to recoup investments, everything we know of Bond on screen here and now would have been in the can. But, by some miracle, that disastrous outcome didn't happen. That amateur Scotsman I was talking about? Turns out he actually proved from the very beginning why he was destined for the part of the secret agent, and in just his debut picture alone, he'd already set the blueprint other actors would follow for 50 years onwards. That scrap budget? Turns out that with a little ingenuity, talents like Terence Young and Ken Adam problem solved and pulled some of the greatest cinematic sequences and film sets out of their nether regions, and somehow didn't resort to magic to do it. Perhaps one of Dr. No's greatest appeals is that it was the first one through the door, the lone crusader on the prairie of the cinemascape. 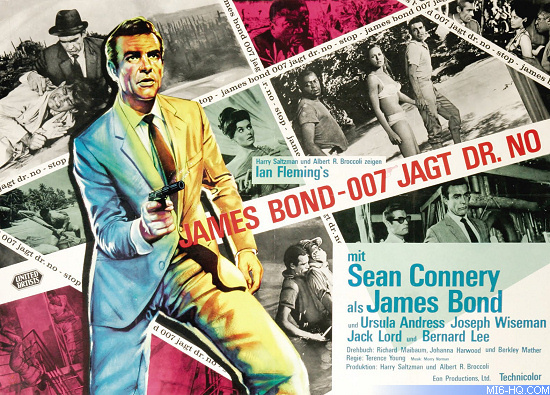 There was no such thing as a James Bond franchise in early 1962, not even in March of that year when filming was over and post-production was in full effect. I think what makes Dr. No so special then, amongst the endless reasons, is that the filmmakers didn't have to worry about topping the last set of films that had come before it. There was no From Russia with Love or Goldfinger to beat out in ambition or thrills, so instead, they simply focused all their energies on making a solid film for audiences, and nothing more. And somehow, out of that manic production with unpredictable challenges, crazy luck, ingenious problem solving, reluctant casting and a collective ignorance on the part of everyone as to what history they were creating, the James Bond franchise was born. To quote Ms. Trench in one of the film's opening scenes, "I admire your courage..."